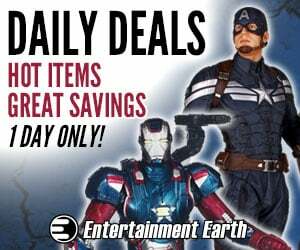 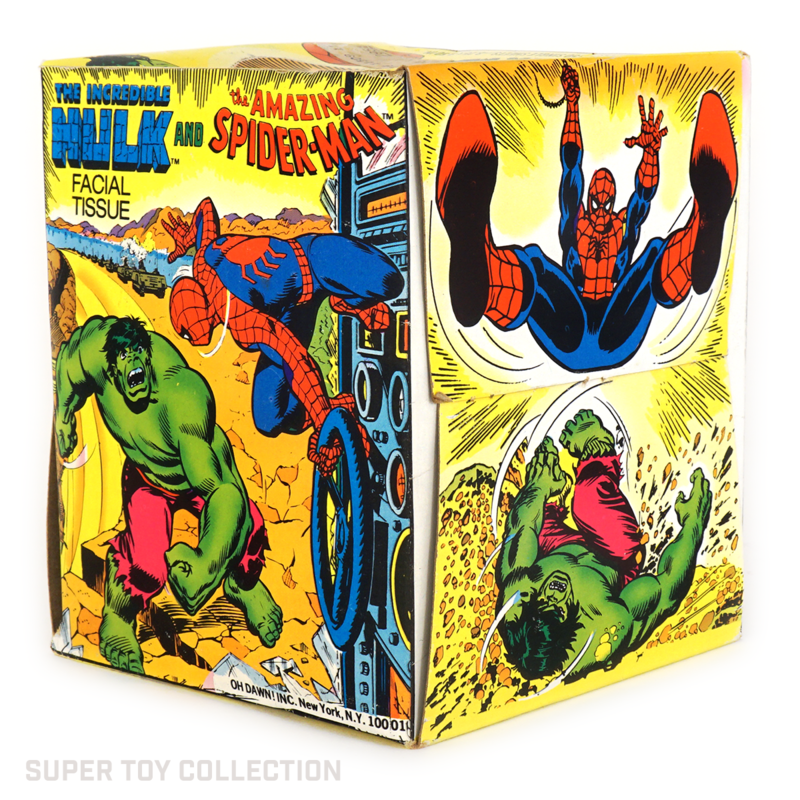 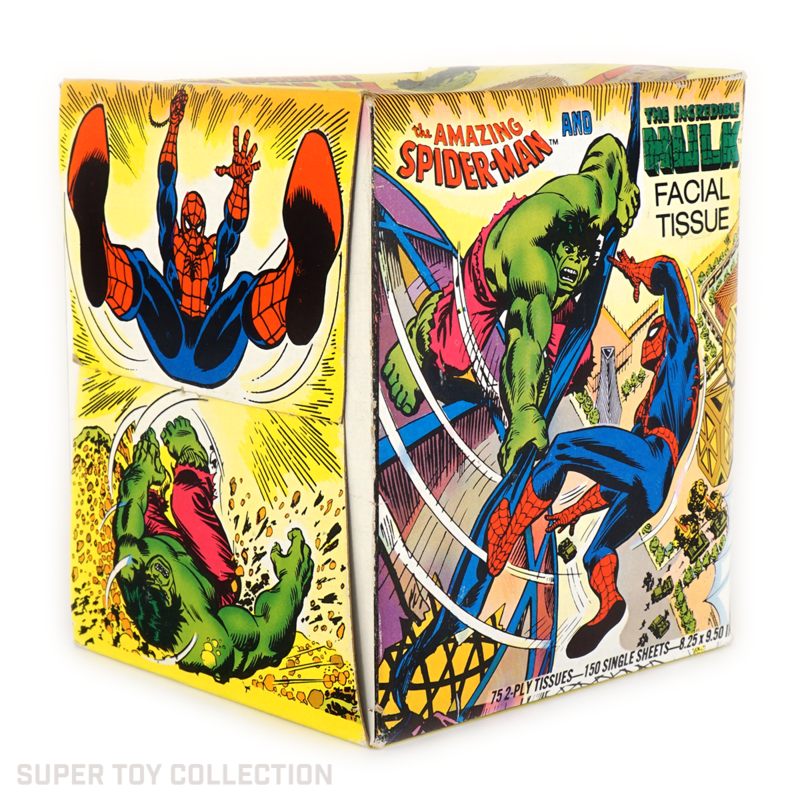 This tissue box brings tears to the eye with all its vintage Marvel glory. 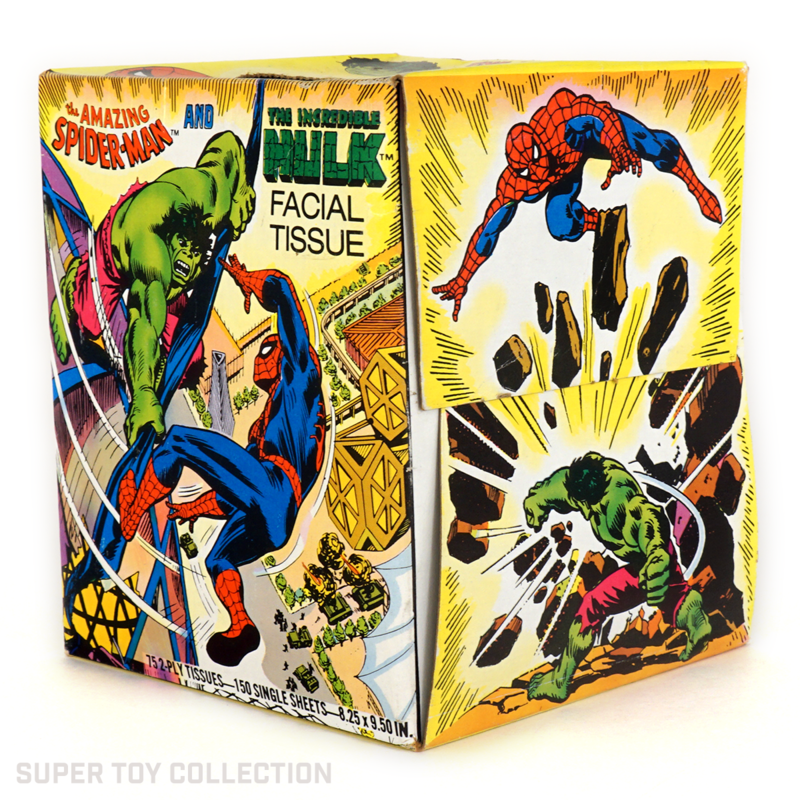 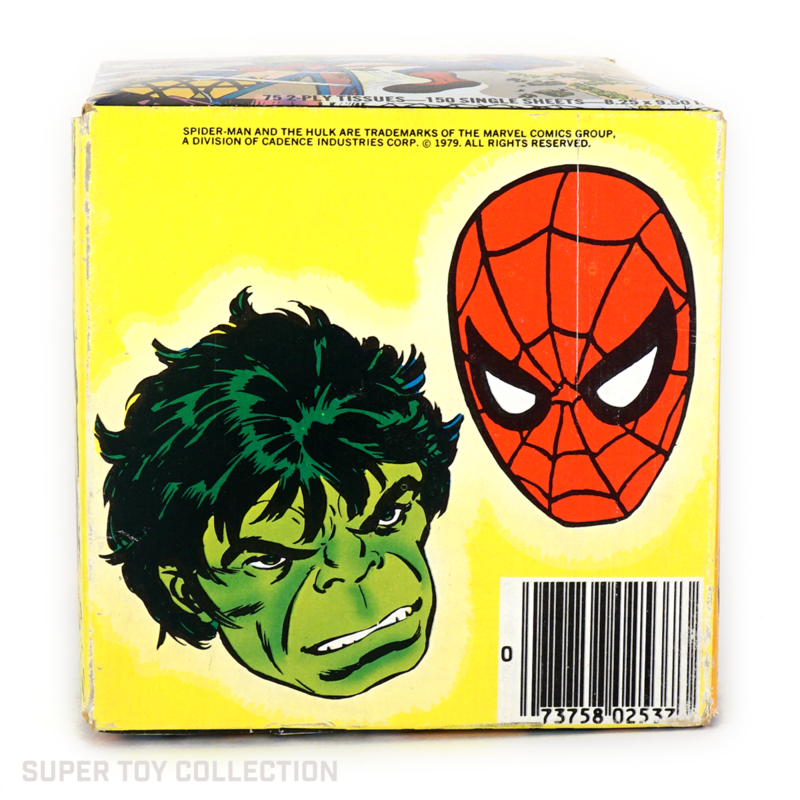 Each side features an image of Spider-Man battling the Incredible Hulk, while the top and bottom of the box feature head shots straight out of the Marvel playbook. 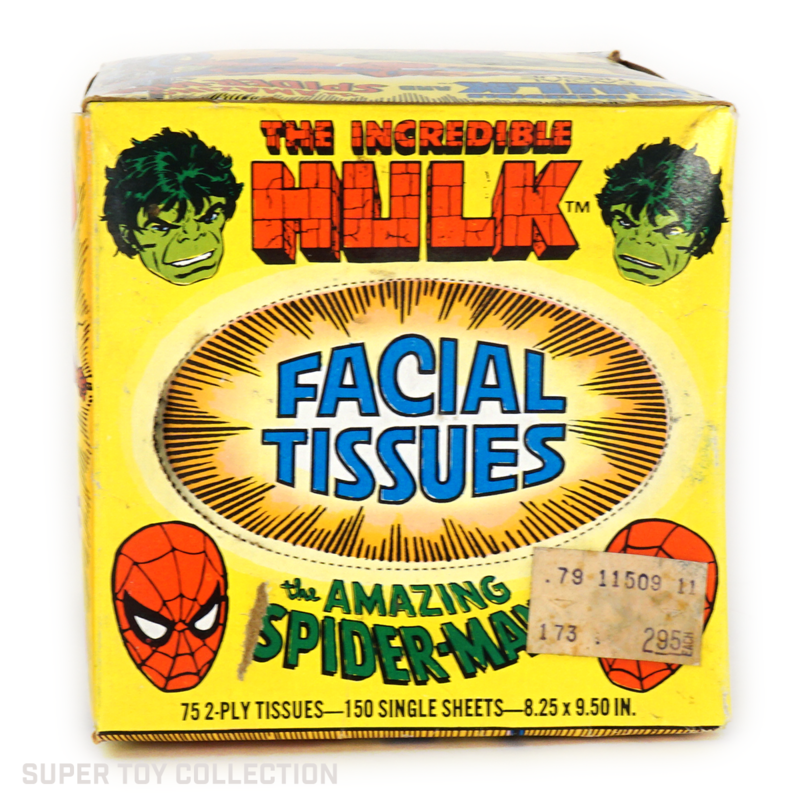 The individual tissues had a four-panel comic printed on them in green ink, so you could be entertained while catching your sneezes.